Hello and Merry Christmas to you all! Tomorrow is the big day and I hope you all are ready. 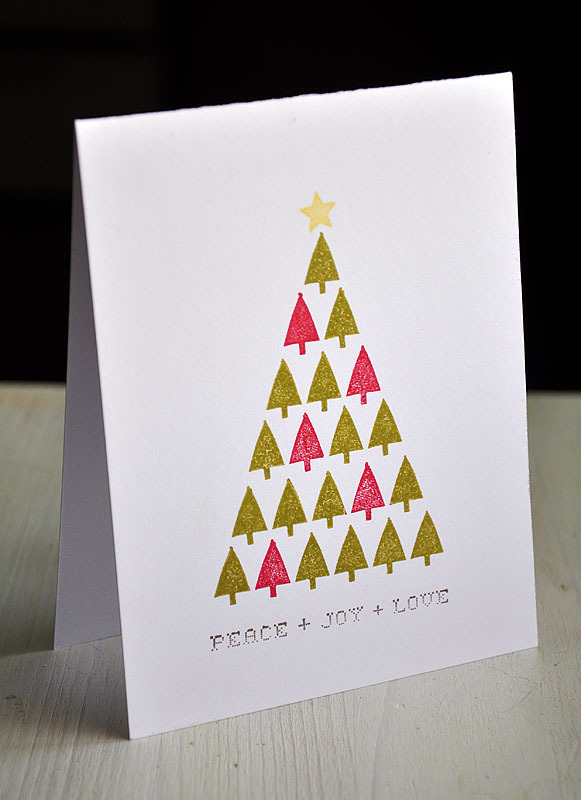 Thought I would pop in with one last Christmas card, this time it's a Christmas thank you. I plan to send a few of these out after the big day... A bunch of Hero Arts goodness on this one! Started by stamping the small branch (from Magic of Christmas) multiple times, in Ripe Avocado, to create a large and small branch on a white card base. Colored in with three shades of green Copic Markers. 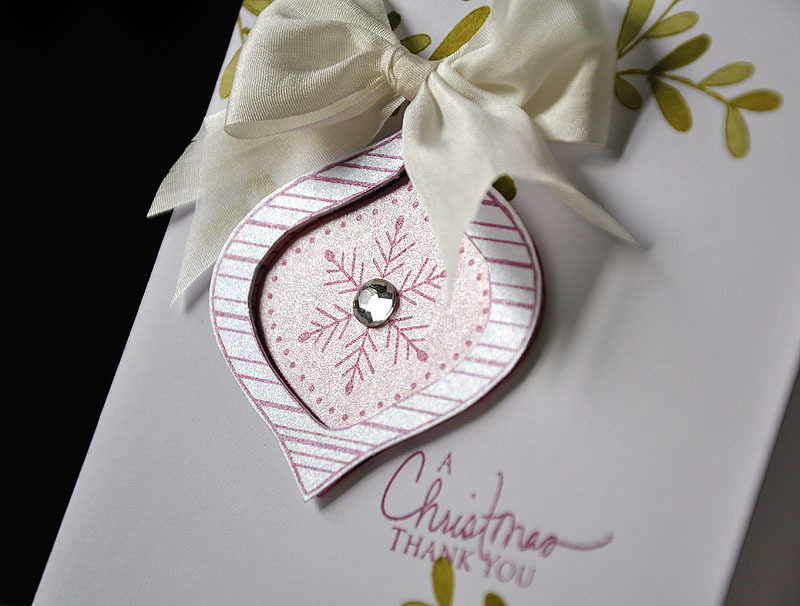 Stamped the ornament (also from Magic of Christmas) in Scarlet Jewel onto Shimmer White and Shimmer Pink cardstock. Cut out the outer portion from the Shimmer White and the inner from Shimmer Pink. Here's A Tip: I used a kraft blade to trim out the center of the ornament. 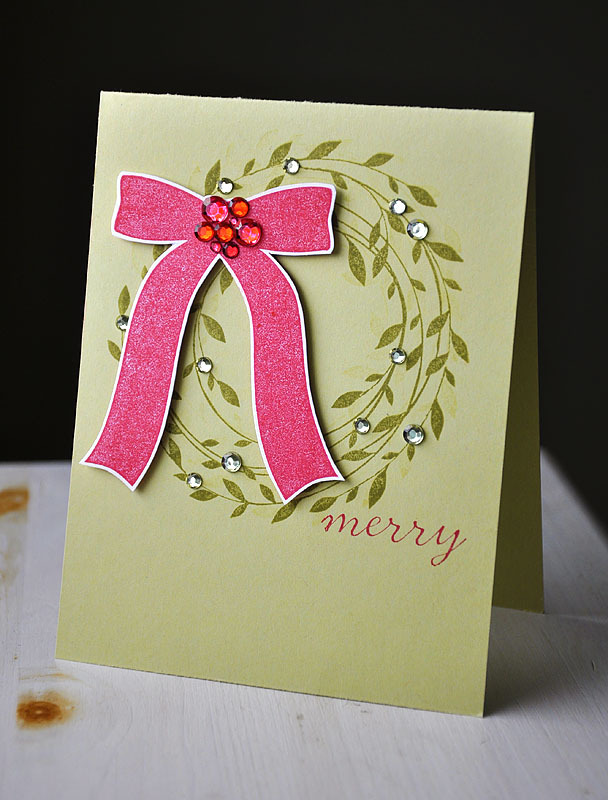 Attached the layers together with dimensional adhesive and then adhered the ornament onto the card base. 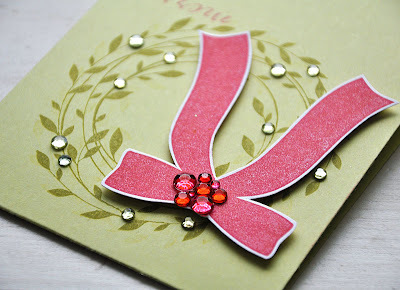 Finished the card off with a large silk bow, a rhinestone center and a sentiment from Signature Christmas. I am look forward to spending Christmas with my family (even though we will be missing a couple people this year) and together rejoicing in the greatest gift ever given, the birth of a Savior! Thanks to all of you for taking the time to visit me and I truly hope you all have a Blessed Christmas! And here is what I came up with... As per my usual style, I had to switch things up a bit and turn the sketch on it side. Started the card by attaching a strip of Happy Spots pattern paper to the kraft card base and rounded the bottom corners. Then wrapped baker's twine around the card, carefully spacing each strand out evenly. For the focal point I stamped a wreath (from Wreath for All Seasons), onto a die cut Mat Stack #4, in Dark Chocolate and Wild Honey Distress Ink. 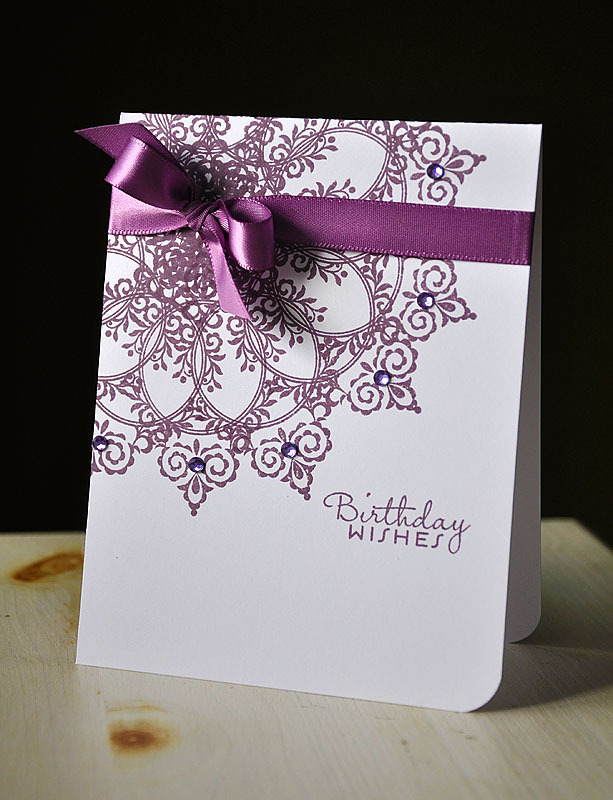 Then stamped a sentiment (from Birthday Bash Sentiment) in Plum Pudding and attached it to the card base with dimensional adhesive. 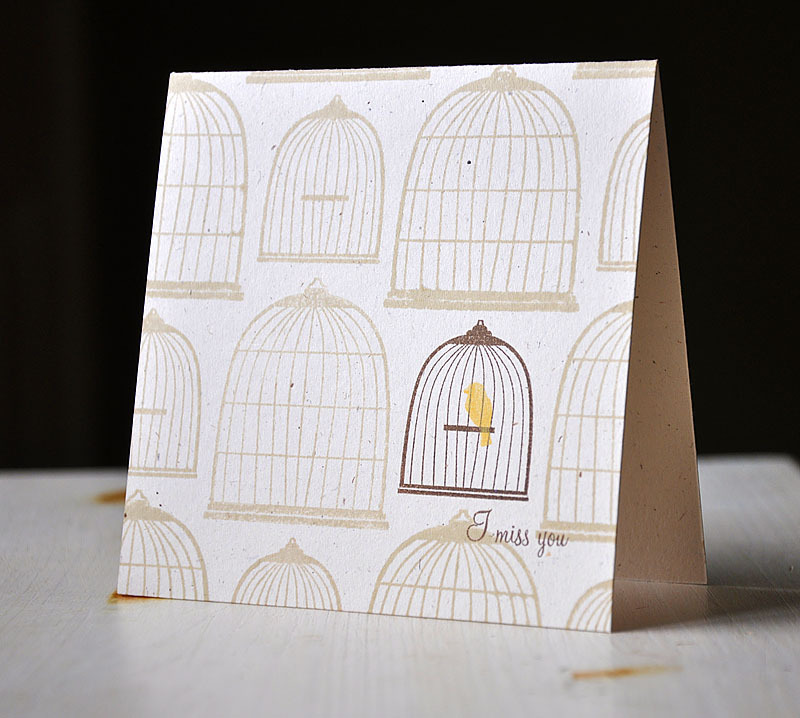 Finished the card of with a few Harvest Gold buttons, more baker's twine and an adorable little bird from Little Bitty Bird. I hope you too will join in on the challenge fun! Look here for the challenge details and the Pals Paper Arts Design Teams gorgeous challenge creations. 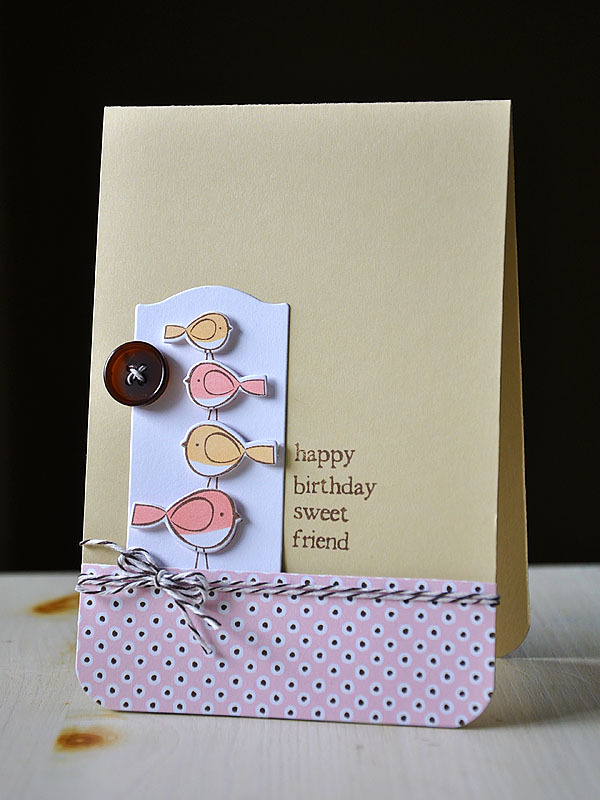 For today's challenge we are featuring the recently release Birrrrthday. 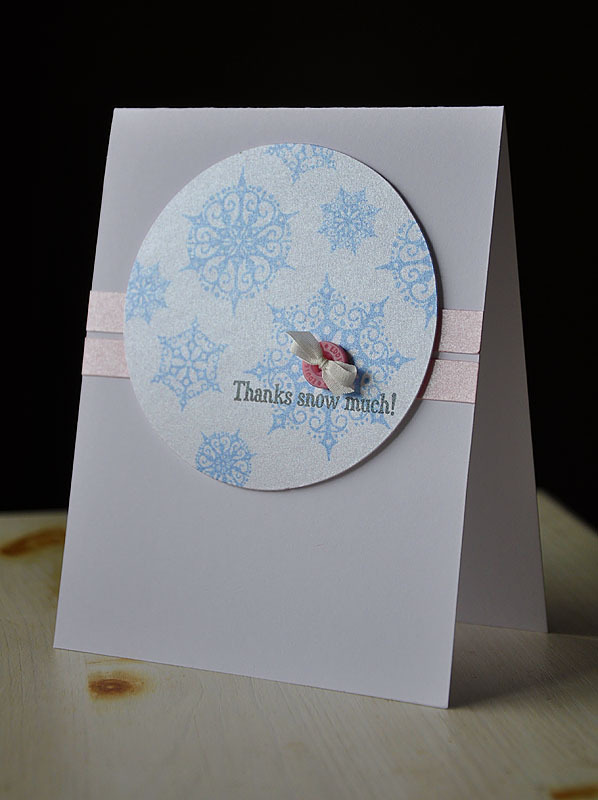 Stamped the gorgeous snowflakes onto a White Shimmer cardstock circle, in Spring Rain. Attached the circle along with two strips of Shimmer Pink cardstock to a white card base. 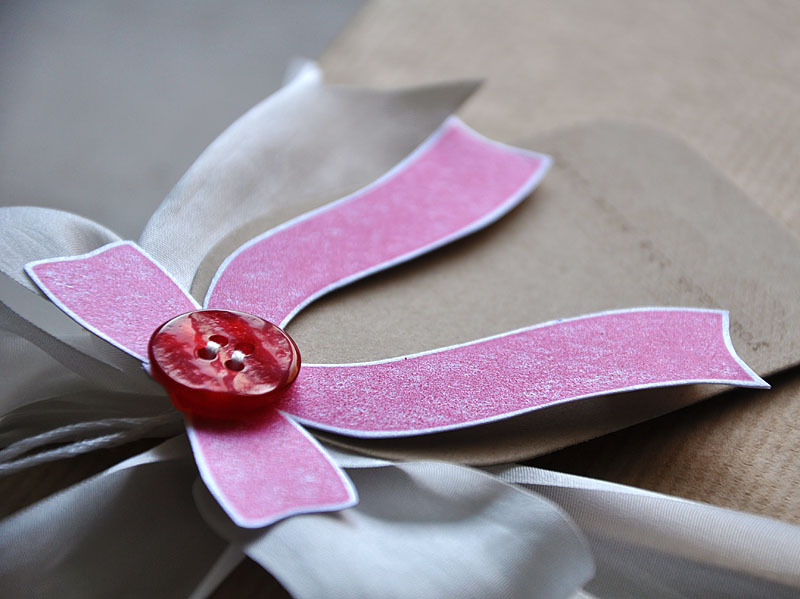 Finished it off with a sentiment stamped in True Black and a Sweet Blush button tied with silk ribbon. 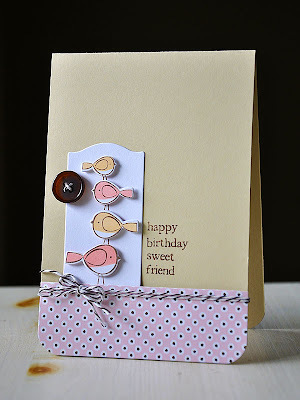 Be sure to visit the Skipping Stone Design Blog for all the challenge details, prize info and to see what the Design Team has come up with, using the same sketch and stamp set. Hope to see your challenge cards soon! Hello! Hope you all enjoyed your weekends. 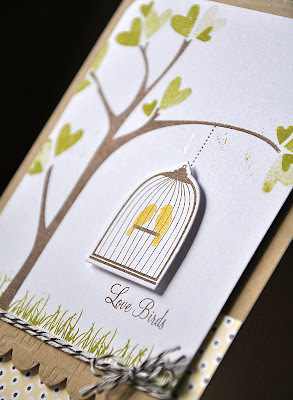 Today I wanted to share a card I had made before the last Papertrey Ink release, using Love Birds. Don't look to closely. You may notice the wet ink I accidentally smeared (once I finished stamping the tree panel of course... arg!). This card started with the idea of using the two heart images, from Love Lives Here, to create leaves. Stamped the tree trunk, from Merry Little Christmas, in Dark Chocolate. Stamped both hearts repeatedly, in Simply Chartreuse ink, at the end of the branches. 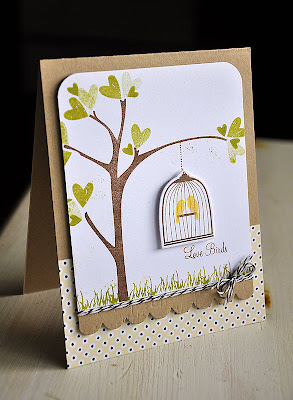 Die cut, stamped and attached the bird cage below the stamped chain (both from Love Birds). Stamped the grass image (from Love Lives Here) along the base, in Simply Chartreuse. Die cut a scalloped border from kraft cardstock and impressed with the Sheet Music Impression Plate. Attached the border and wrapped with baker's twine. 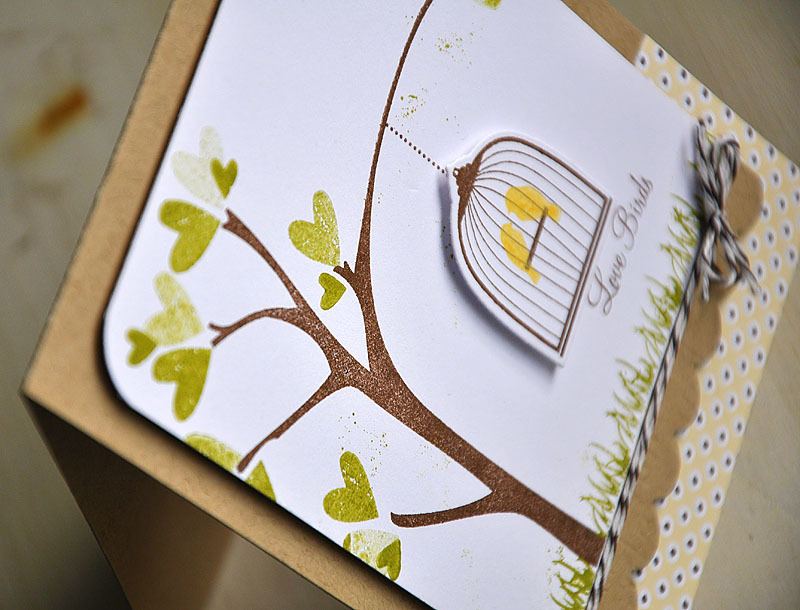 To finished the card off I attached the tree panel to a kraft cardstock base, along with a strip of Happy Spots pattern paper. That's it from me today, hope you all have a great Monday! Thanks for stopping by! Hello, all! Just quickly popping in to share a couple cards I whipped up in 10 minutes flat today. Same basic idea as on this card, but with a bit more color. This time around, I stamped the Mat Stack #2 Collection image in Raspberry Fizz onto a white card base. The sentiment is from 2010 Love Tags. Stamped another in Plum Pudding and used a sentiment from Asian Fusion. 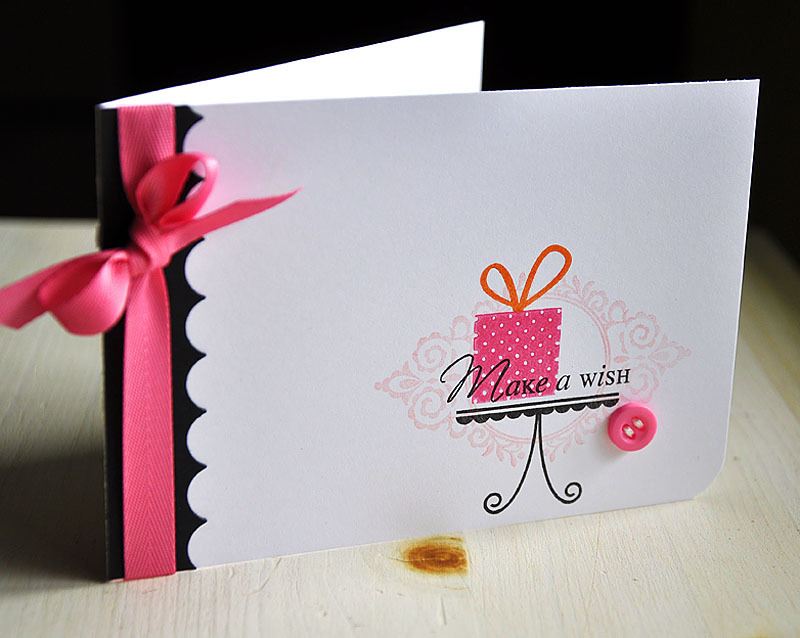 Then finished off both cards with rhinestones, matching ribbon and a rounded bottom corner. 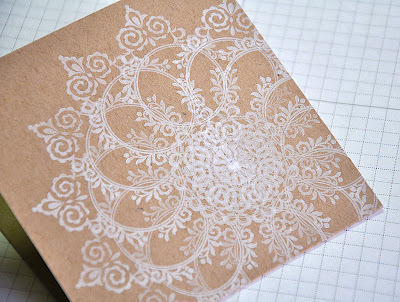 For instructions on how to create this doily look, click here and scroll towards the bottom of the blog post. 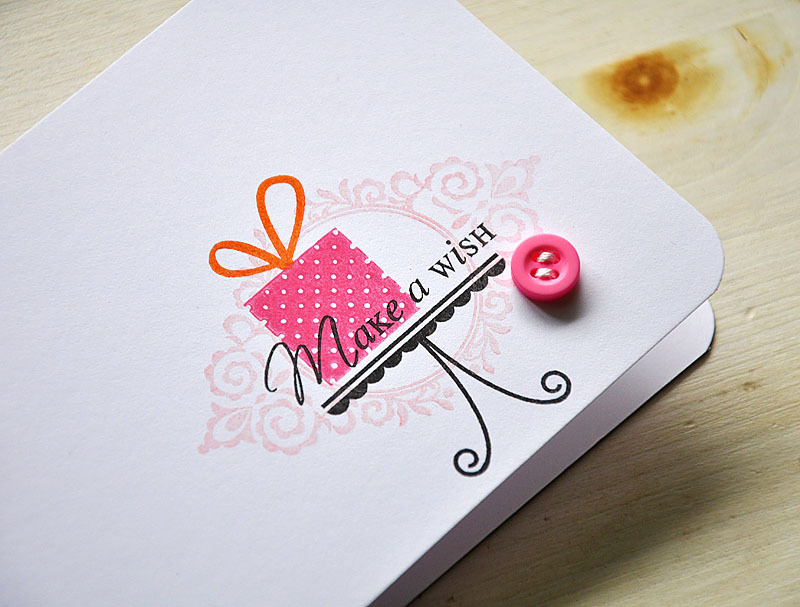 Thanks for stopping by, have a wonderful one! 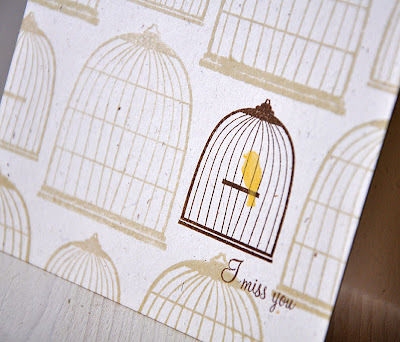 I hope you all have enjoyed this months amazing Papertrey Ink release! I have a few more release cards to share with you today. So let me get started... First up, Love Birds... To create the stamped birdcage pattern, I started by stamping the small cage in Dark Chocolate onto a Rustic Cream card base. Then around it, I stamped both small and large bird cages using the Chai ink in from the Vintage Touch Tea Dye Duo. 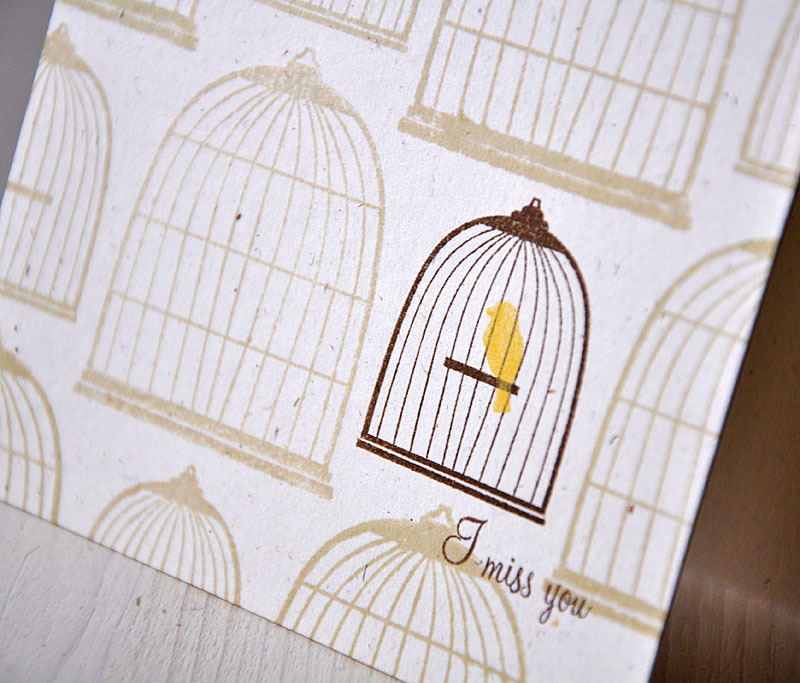 Finished it off with a single bird and a sentiment. To create a strong yet simple focal point, I combined and layered together images and a sentiment from both sets. Finished it off with a Hibiscus Burst button, embroidery floss and a rounded corner. Up next, Little Bitty Bird... Aren't these birds just too sweet! Stamped them one on top of the other and colored partially with Copic markers, being careful to leave the bird bellies uncolored. 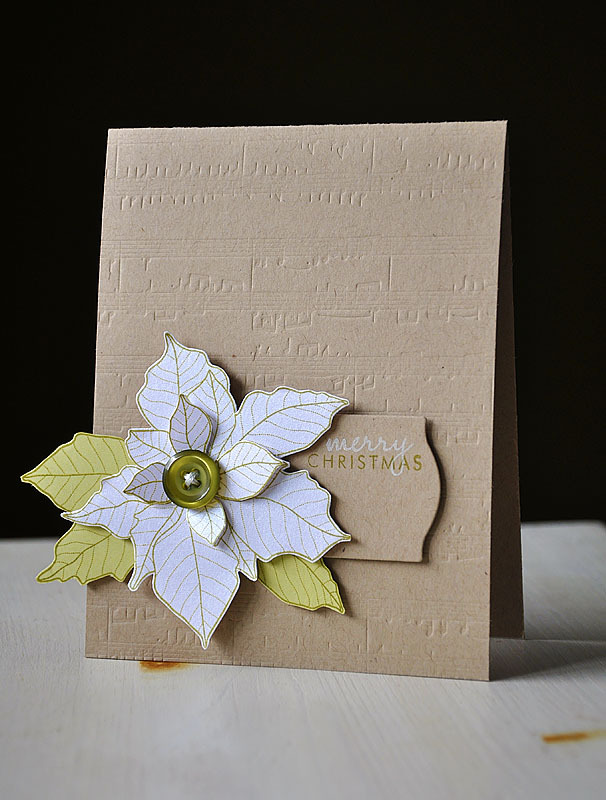 Stamped the large flower onto both Shimmer White and Spring Moss cardstock. 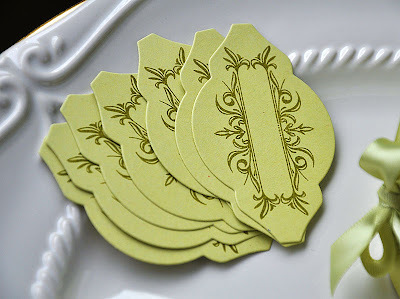 From the Spring Moss cardstock, I cut out part of the flower petals to create the leaves. 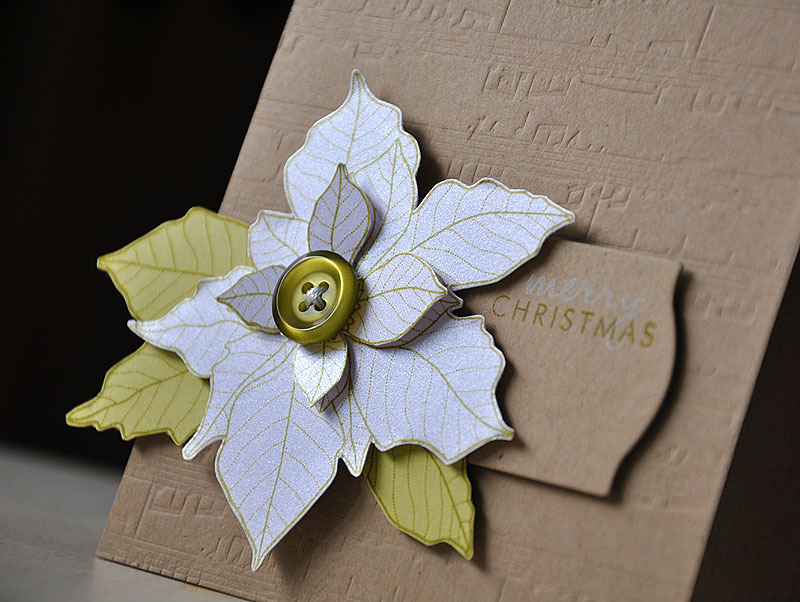 Cut out the rest from the Shimmer White cardstock to create the flower. 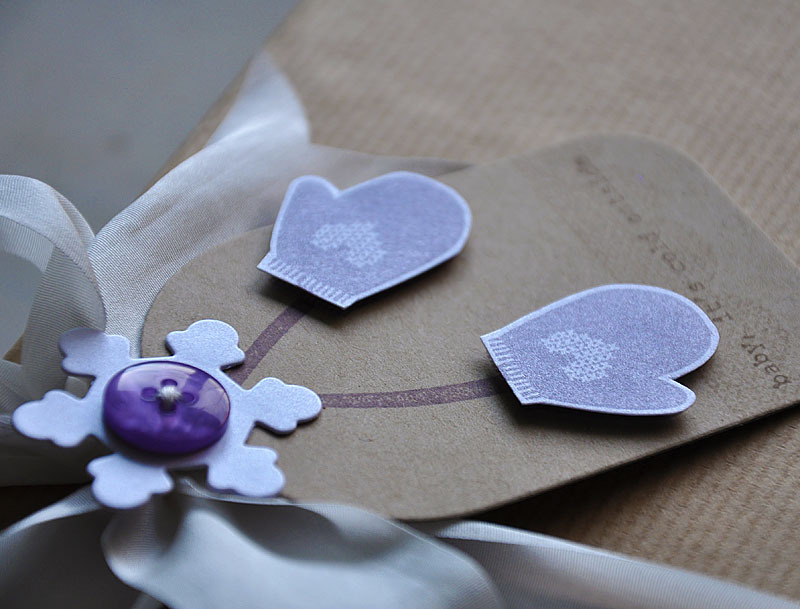 Attach the layers together with dimensional adhesive and embellished with a Ripe Avocado button. Hope you've enjoyed the goodies from yet another fabulous release! I'd love to hear what you all are looking forward to receiving the most from this months released! Can't wait to see what you all create! Hello, and welcome to the Skipping Stones Design Blog Hop. 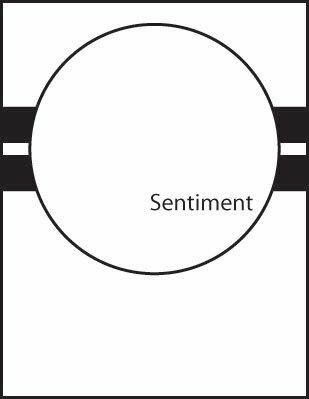 This is a hop to celebrate the release of two new sets, Sentiment Frames #1 and Brrthday. 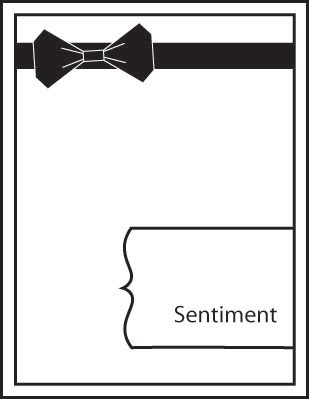 Today the Design Team and Guests of Skipping Stones Design will be featuring cards using Sentiment Frames #1. Onto a kraft cardstock block I stamped one of the frames from Sentiment Frames #1 in Vintage Cream ink. Inside the frame, I stamped the sentiment (also from the same set) in Dark Chocolate. Rounded the bottom corners, tied with Dark Chocolate ribbon and attached to a Dark Chocolate card base. Embellished the frame with a few hand rolled Scarlet Jewel flowers (tutorial on how to make these found here, at the bottom of the post) for a pop of color. 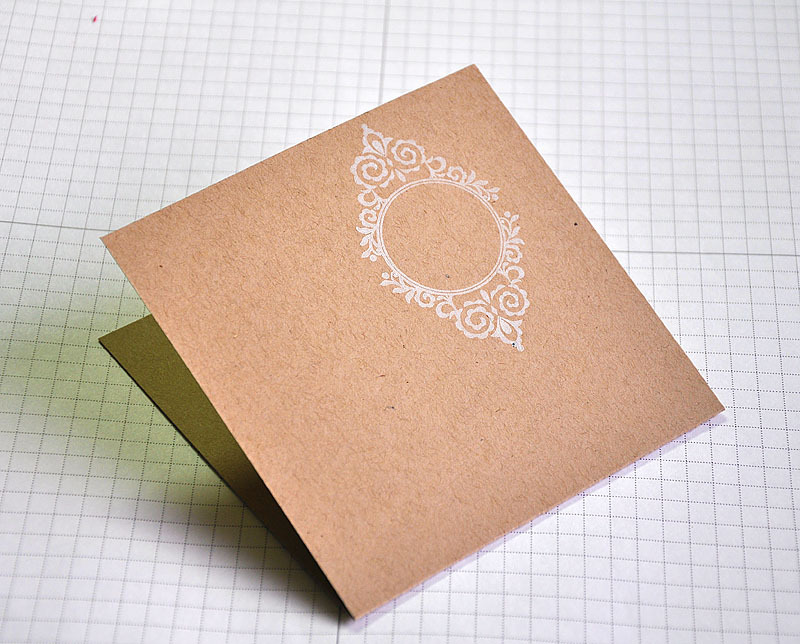 We'd love for you to play along with us and design a card using the sketch! If you do join in, please share with us and link your card at the Skipping Stones Blog here. A free stamp set is up for grabs to one lucky winner as well! I hope to see your creations soon! 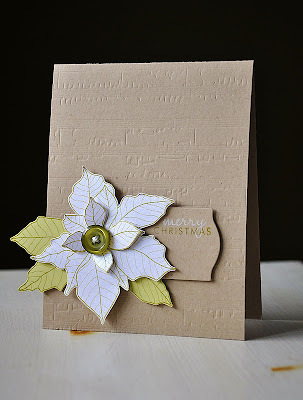 Hello, and welcome to the final day of the Papertrey Ink December Countdown and the second Design Team Group Post. 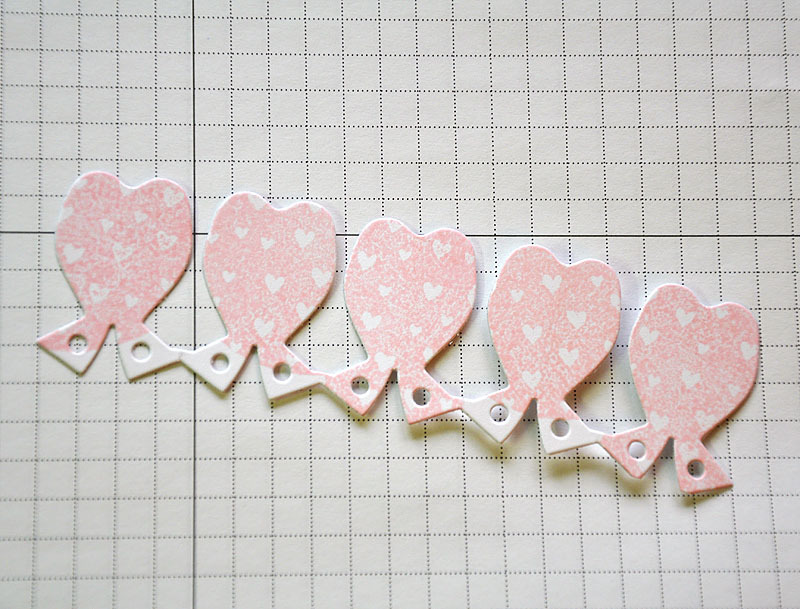 Today we are showcasing the lovely 2010 Love Tags set. We are putting this set to use and making both Valentine's Day and "year-round" project, to show just how versatile this set truly is. Each design team members is working with a different image and I chose to work with my favorite, the Solid Heart Background. 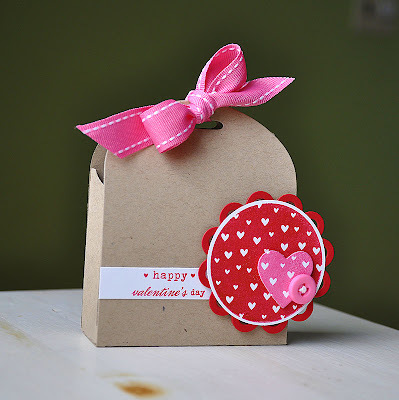 My Valentine favor started by die cutting and assembling a kraft Favor It Box 3. Stamped a sentiment from 2010 Love Tags in Pure Poppy into a white cardstock strip and attached it across the bottom of the favor box. 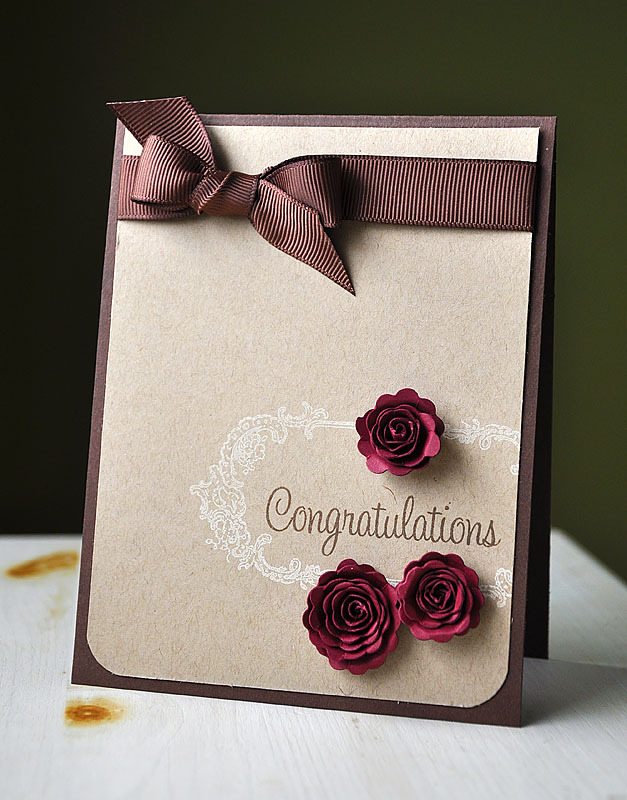 Die cut a Pure Poppy scalloped circle, using the Limitless Layers: 1 3/4" Circle Die Collection. Topped the scalloped circle with a punched Pure Poppy solid heart background circle image and attached it to the box with dimensional adhesive. 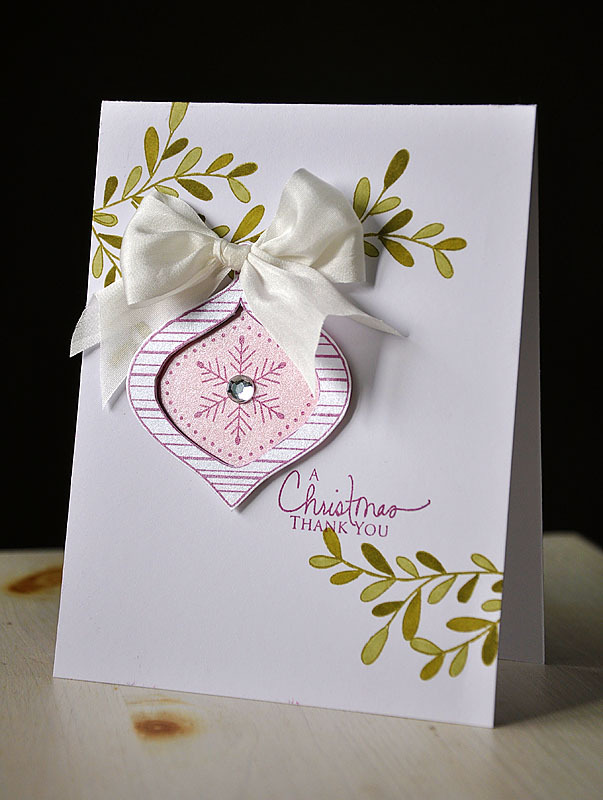 Embellished with a medium heart, die cut from a stamped Hibiscus Burst solid heart background image, and a Hibiscus Burst button. Finished it off with a Hibiscus Burst ribbon bow to tie the top shut. 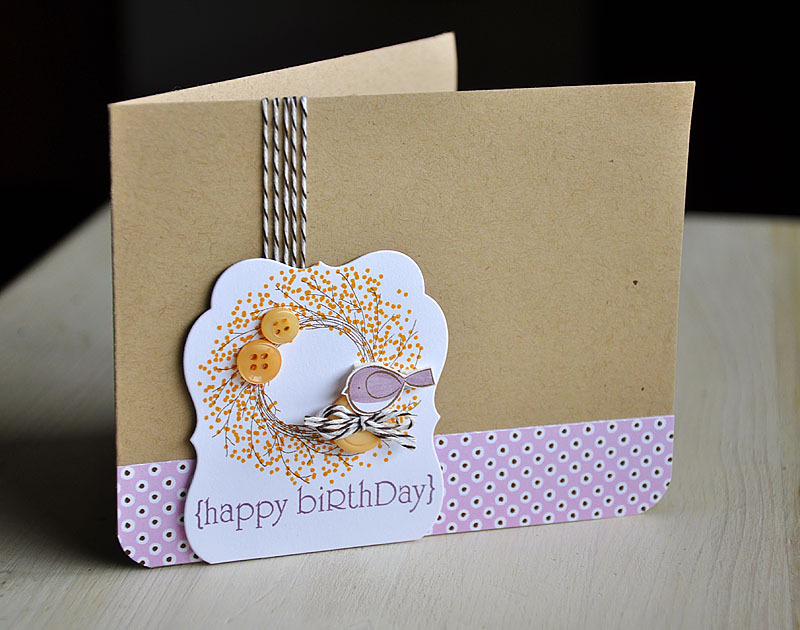 Next up, a "year-round" baby card. 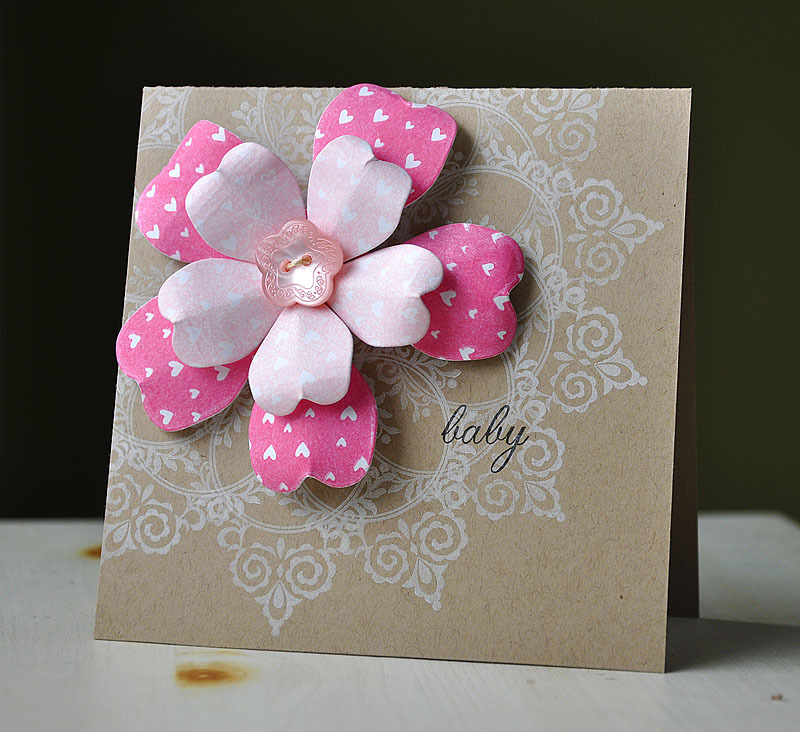 This baby card started with the a hand stamped Bloom Builders #2 flower, which then needed a base. Here's How: For the card base, I started with one of my favorite images, from the Mat Stack #2 Collection set, to create a rather large circular doily pattern. 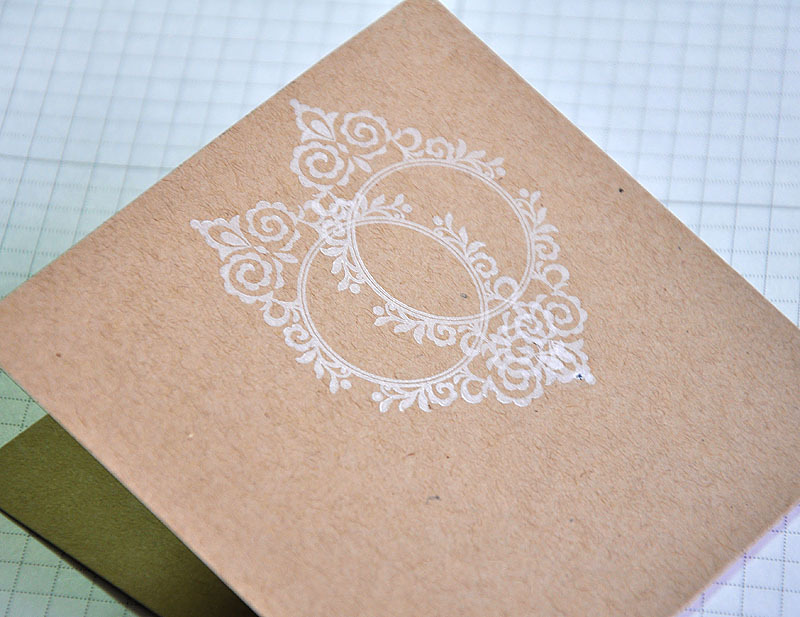 After marking the center of the pattern, I lined up one of the image corners with the center and stamped. Inked up the image again and stamped a second time over lapping the first image. Repeated the step above, rotating the image slightly each time I stamped. I found that the process went much smoother if I located points, in the image, to line up the same way each time I stamped. I continued until I had stamped all the way around and completed the entire circle. I am so in love with the way this turned out!!! At this point, you could finish it off with a stamped sentiment and you'd have yourself an amazing single layer card! But I topped mine with a flower I had already made. 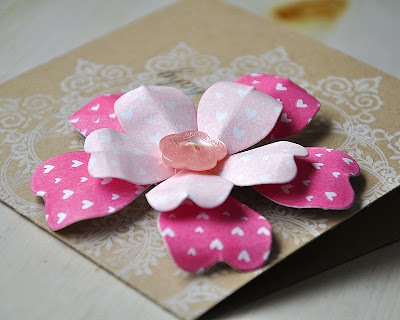 Here's how: Once the flowers were die cut from white cardstock, I masked off each petal (using Post It Notes) and stamped each with the solid heart background image from 2010 Love Tags. The small flower was stamped in Sweet Blush and the medium flower was stamped in Hibiscus Burst. Then assembled, see Nichole Heady instructions here. Here's A Idea: Once the flower was assembled, I gave it a bit more dimension by curling back the end of each petal using the round handle of a paint brush. 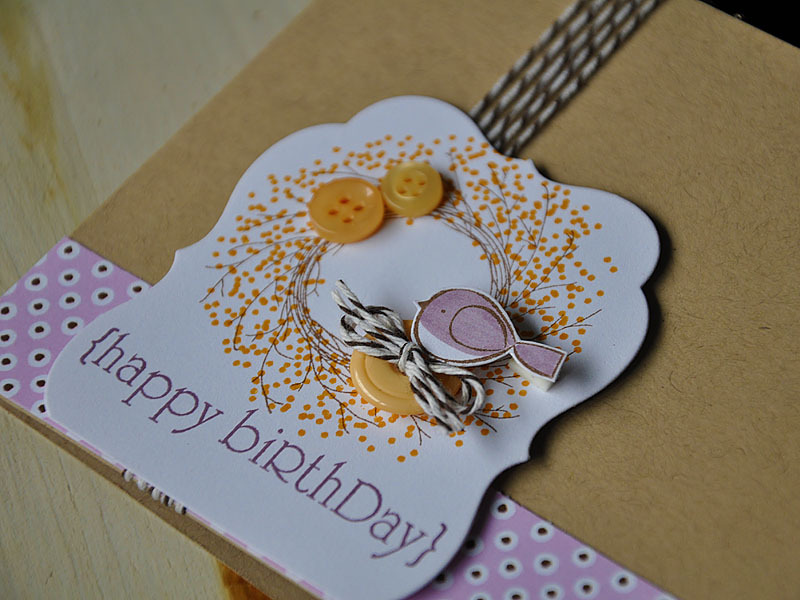 Embellished the center with a button and then attached to the card base. Finished the card off with "baby" stamped in True Black. Thanks for visiting, hope you have a great one! Hello, everyone! Welcome to this months Papertrey Ink Design Team Group Post. 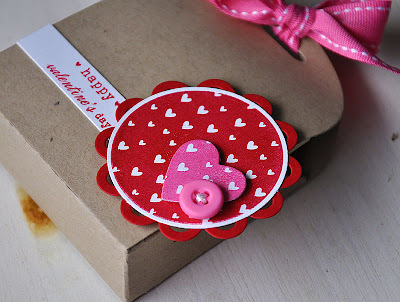 Our assignment for today was to create a heartfelt, homemade gift and card using Love Lives Here. This amazing set is full of heartfelt words and images, it's a concept by Melissa Phillips and was designed by Nichole Heady. 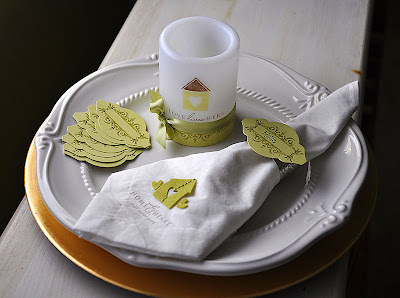 It all started with the napkins, you can create four or more of these to complete a set. 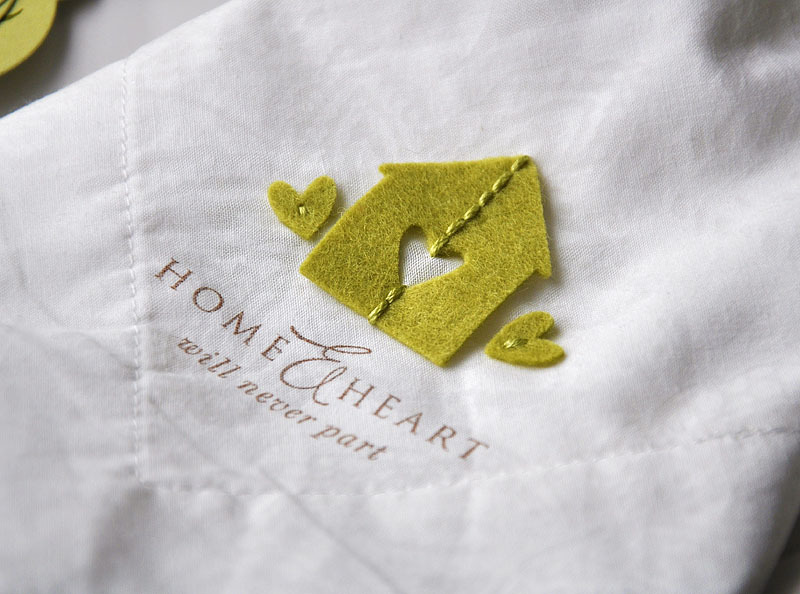 To create, start by stamping the sentiment into one of the corner of a napkin using fabric ink. Die cut a house and two hearts from the colored felt of your choice. Hand stitch felt onto place with matching embroidery floss. 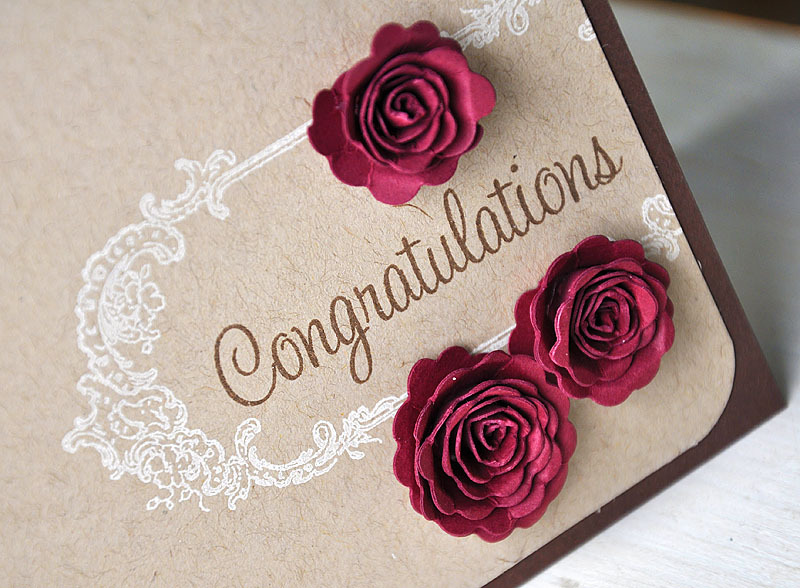 Here's An Idea: Choose colors of felt that coordinates with the home of the recipient. For place cards, I simply die cut Mat Stack #2 from Spring Moss cardstock and stamped with one of my favorite images, from Mat Stack #2 Collection set, in Ripe Avocado. 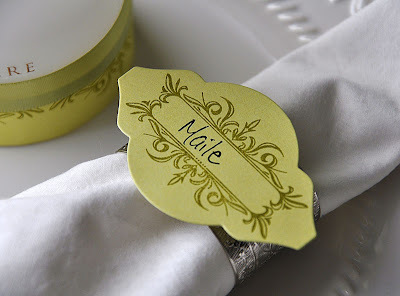 The place cards can easily be filled out with a name and placed on top of a napkin rings to mark a spot. The other day I had stopped at my local Dollar Store and found this little treasure... a 4 inch Battery Operated Flameless LED Candle. 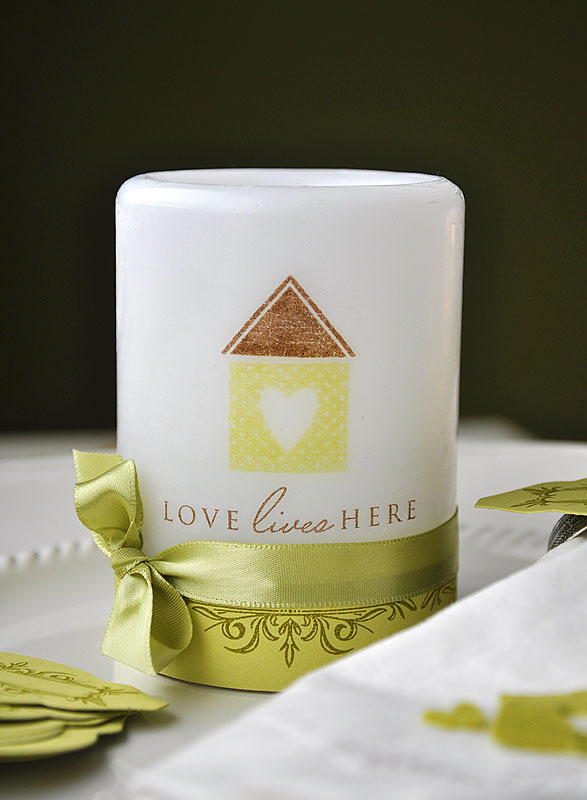 The candle has a thin layer of wax, which made it possible for me to embellish with stamped images. Here's How: Stamp images onto white tissue paper (the kind for gift wrapping), let dry and cut out as close the edges as possible. Lay the candle onto it's side and place images. 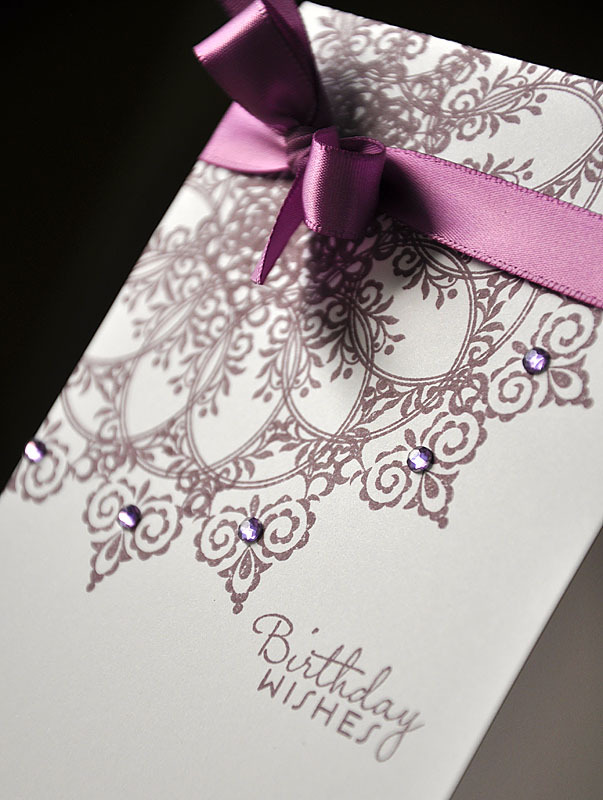 Gently cover with a sheet of wax paper, to hold images into place. Hold the heat gun about 12 inches away and heat images. Since the layer of wax is thin, be careful not to let the heat hit it for too long or the wax will melt a way. I found it easiest to heat the images for a few seconds at a time, then rub and press the images into the wax with my fingers. Through the wax paper you can see the image blend into the candle, at that point let it cool completely and peel back the wax paper for the reveal. Here's a shot of the fake flame inside. 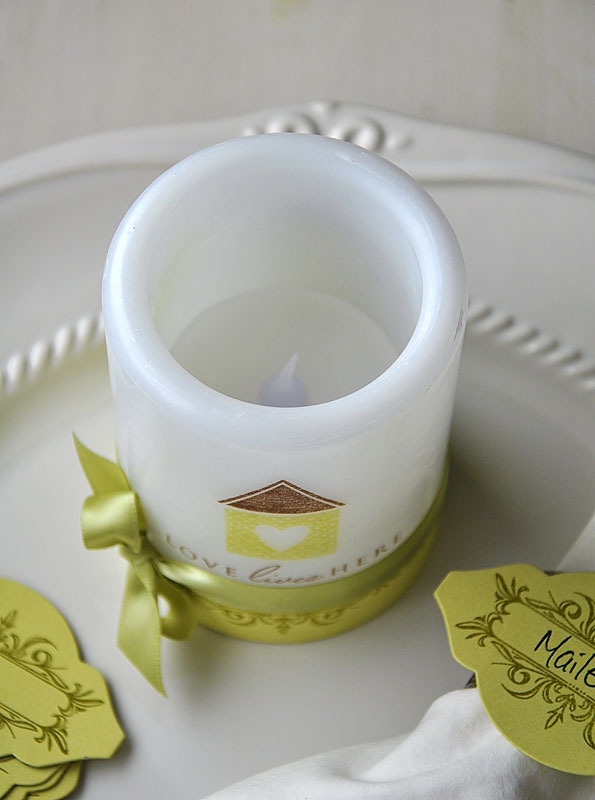 Once the batteries are installed the candle can be illuminated. It even flickers just like a real one! 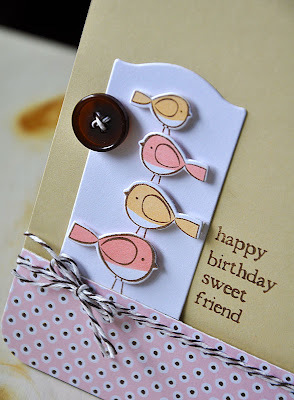 Not only does this set include amazing images but also coordinating dies! 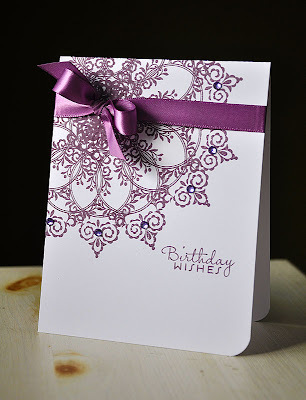 Started today's card by stamping sheet music in Lavender Moon across the front of a white card base. Die cut a Signature Series butterfly from a Lavender Moon Mat Stack #1 die cut, attached to the card base with dimensional adhesive and embellished with buttons and silk ribbon. 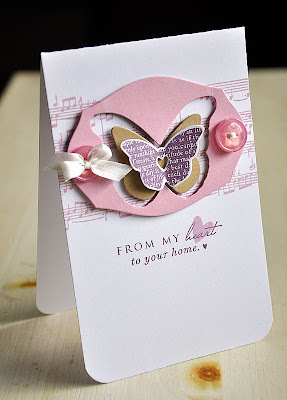 In the center I layered a kraft Butterfly die cut and a Love Lives Here butterfly die cut stamped in Plum Pudding. 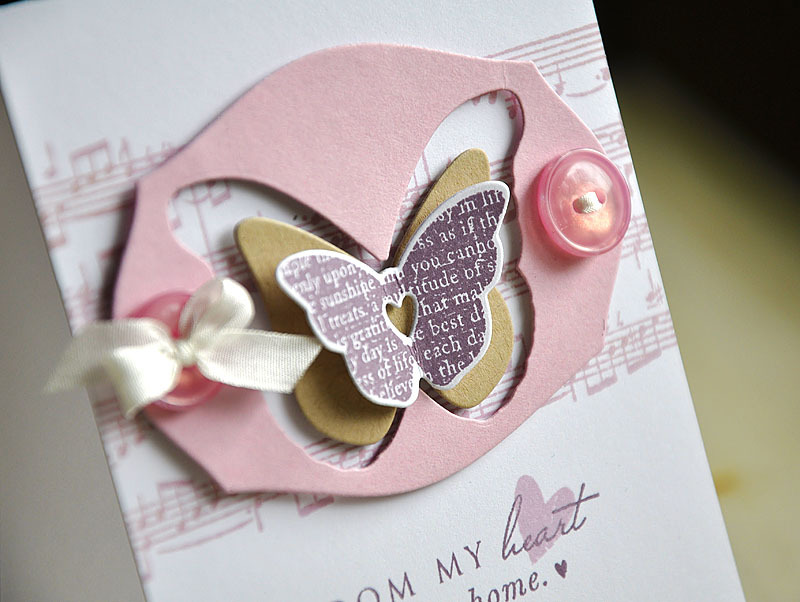 Finished the card off with a sentiment and heart, both from Love Lives Here. So, I'm a bit behind in sharing these tags with you today. It being the holiday season, I've been kinda busy. So on with the show! 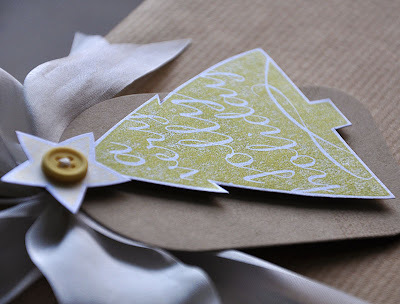 Today, I bring you a few simple tags using the new Green Grass Christmas Stamps and more of the shimmer cardstock I can't seem to ever put down... 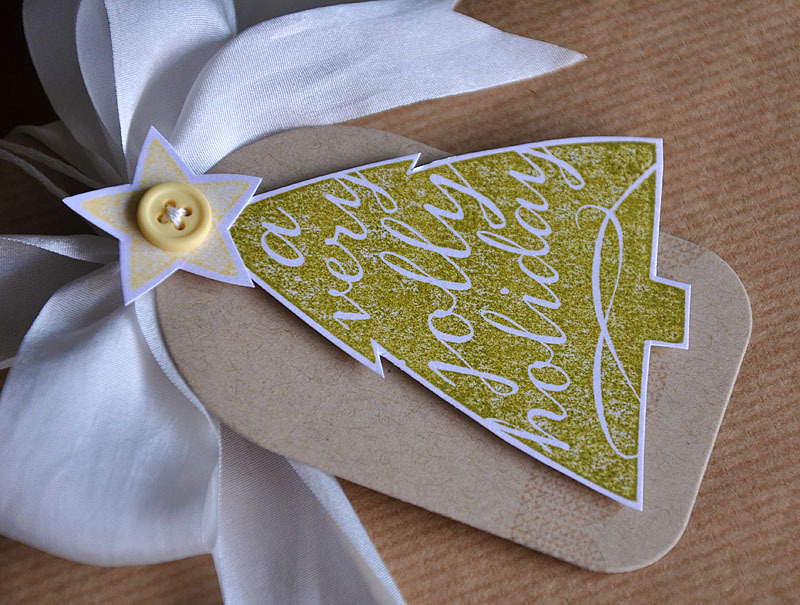 Started with three die cut tags cut from kraft card stock using the Tag Sale 2 Die and a color combo of Kraft, Pure Poppy, Ripe Avocado, Plum Pudding, Lemon Tark, Dark Chocolate & White. Stamped the same bow (used on this card) from Made With Love, onto white shimmer cardstock. Cut it out and attached to the top of the tag. Stitched a button into place with embroidery floss and left the ends long to allow for it to be tied to a gift. 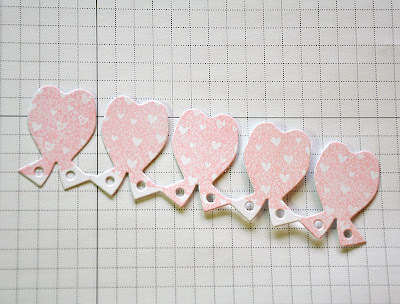 Onto the bottom of each tag, I stamped an adorable cross stitched scalloped border (which I love! ), from Warm Winter Wishes, in Versamark ink and then layered a stamped sentiment on top. It may be a little hard to tell in the photos, but I love how the shimmer of the paper still shines through the ink, even when stamped with a solid image. It makes the ink appear as if it's shimmery itself. 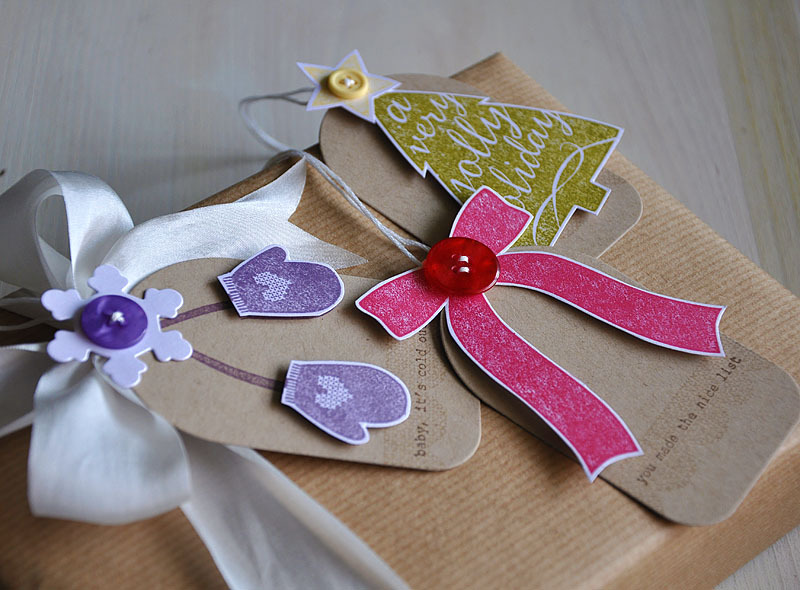 Here's A Tip: When attaching the hand cut shapes, I adhered the tops directly to the tag and popped the base of the shape up with a couple pieces of dimensional adhesive. Giving the shape a little dimension, but yet the button can be tied through the tag hole, at the top, with out much bulk. Next up, the tree and star from A Very Jolly Holiday. Stamped the tree in Ripe Avocado and the star on Lemon Tart onto white shimmer cardstock, let it dry, cut out and attached with a Lemon Tart button. More of that beautiful shine! 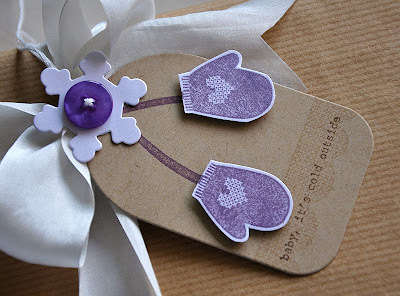 Finally, mittens from Warm Winter Wishes stamped in Plum Pudding, onto both the tag and white shimmer cardstock. 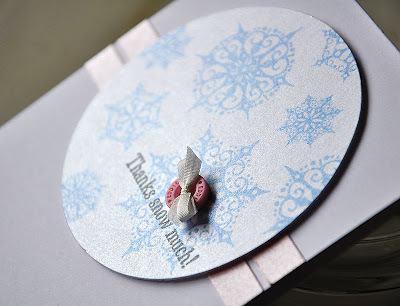 To the top, I attached a die cut snowflake, from white shimmer cardstock, using the Peace Be Still Die Collection and stitched a Plum Pudding button through the center. That's it from me today, hope you enjoy your weekends! Hello and happy Wednesday to you all! My new Green Grass Christmas stamps arrived in my mail box the other day, and I couldn't wait to play! If you haven't heard of Green Grass Stamps you should check them out. Tammy, the owner, has an assortment of adorable images that I am in love with! 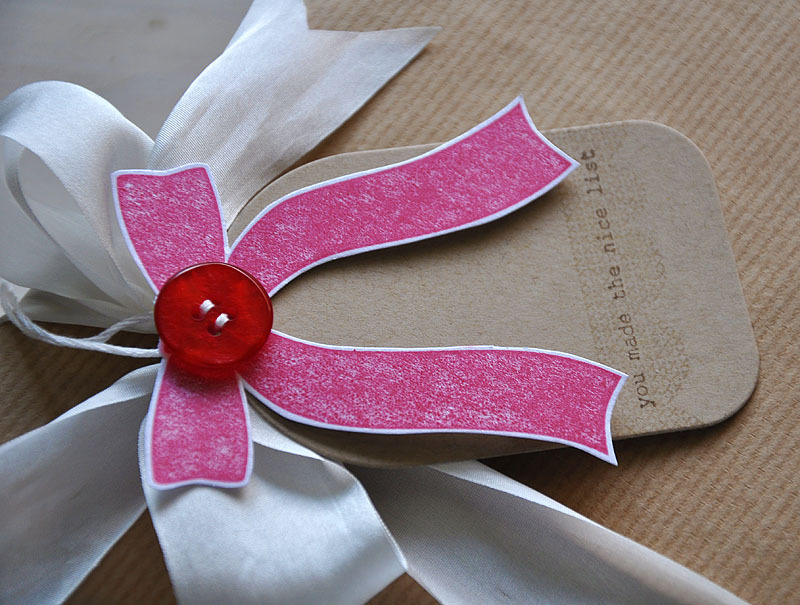 I'll share a few with you today... First up this gorgeous bow, from Made With Love. I've always wanted the perfect bow stamp! 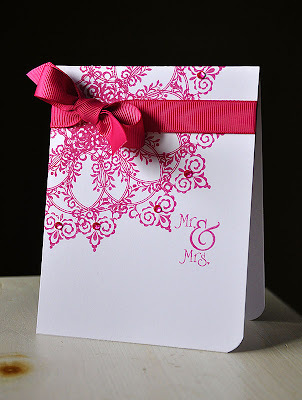 Stamped it in Pure Poppy, onto white cardstock, and cut it out. Attached it, using dimensional adhesive, onto a Spring Moss card base stamped with Wreath Of Leaves (by Hero Arts) in Ripe Avocado. Finished the card off with a sentiment (also from Made With Love) stamped in Pure Poppy and rhinestones in red and green. 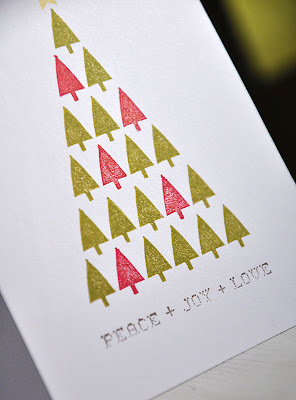 Here's a single layer card using the individual stamp, Evergreen. I carefully inked the row of trees with Ripe Avocado and Pure Poppy inks and stamped, to form a Christmas tree. 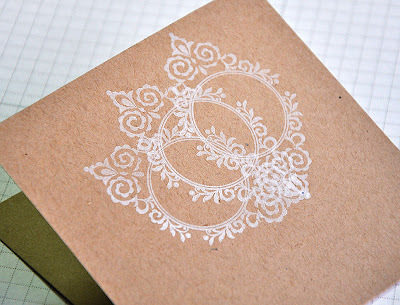 My Stamp-a-ma-jig stamp positioner came in very handy when creating this simple design. Topped the tree off with a star from A Very Jolly Holiday and finished the card off with Peace + Joy + Love stamped in Dark Chocolate. Thanks for stopping by and I hope you too have enjoyed these stamps as much as I have! Be sure to stop by tomorrow, I have a few adorable tags to share with you using even more Green Grass Christmas stamps!